The team at CS Preston came through with professionalism and technical prowess on a tight timeline. Thanks to the team, we were able to launch a fun site (photohunt.io) that highlighted the talents of creative internet makers during the SXSWi festival! Looking for reliable and affordable services? We deliver. Our clients success. You can be next. CSPreston consistently delivers high quality work on time, on budget and at competitive rates. Partnering with CSPreston has made our company more competitive in our market. I would highly recommend working with Brett’s team on any development work. 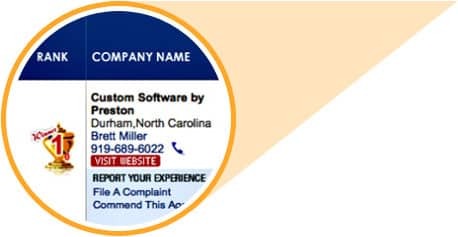 CSPreston did an excellent job in developing our custom CRM software application that we utilize to run our Marketing Company. We greatly appreciate the dedication, ideas and professionalism that they have shown throughout our business relationship. I would strongly encourage anyone with a software development project to consider working with Brett. Custom Software by Preston has successfully handled a number of our software projects. I am impressed with their willingness to go the extra mile, work late to meet our deadlines and help us define what we need so that the finished project exceeds expectations. Finally someone that “walks the talk”! Thank you CSPreston! All you promised have been delivered. It has been a pleasure working with you and your team. I could not be happier with my decision to work with CS Preston. They were amazing to work with and took everything I gave them and turned it into an amazing product. I loved their approach and will be working with them for a long time. ...And we're up to 10 times more effective! In an independent survey comparing software developers, productivity can vary by 10 times. 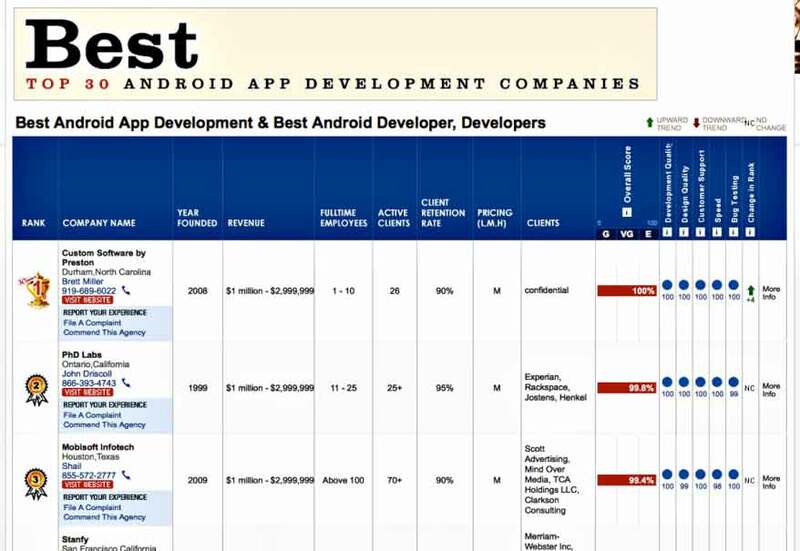 We were ranked as one of the top dev studios in the US by another independent authority. 919 689 6022 To discuss your project with Brett.